TK SAYS THEY PAID ZAHARA ALL HER MONEY! Co-founder of TS Records Thembinkosi “TK” Nciza sets the record straight. 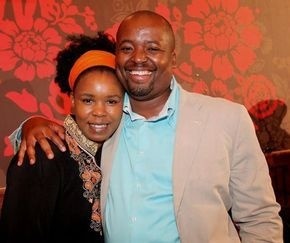 He was called to reply to the allegations made by Zahara in an interview with Mo Flava at Metro FM. In that interview, she claimed that her ex-record label TS Records still owes her money. According to her, the label should give her a certain amount of money but TK is singing a different tune. He claims that the label has paid everything that was owed to her. The businessman said he doesn’t believe that she would say such claims, but he won’t take it personally because he still sees Zahara as his daughter as he was the one who brought her to Joburg. TK rubbished claims made by Zahara that she was paid between five and 10 thousands. He said from the top of his head, the singer would get two hundred thousand...not counting some of the amounts that were given to the Loliwe hit-maker. Zahara also mentioned that she doesn’t have rights to her music but TK said as a record label, he owns the masters for a certain period of time and the artist owns the publishing. He further added that the matter will be handled by his lawyer. But there is no love lost between Zahara and him as they set her free when her contract hasn’t even ended with the company. YOU CAN LISTEN TO THE PODCAST BELOW FOR THE FULL STORY.